As we grow every year, we attract more diving guests, as well as more boats and dive centres to represent. We also see more and more returning divers who previously booked a trip with us and want to use our services again. In order to maintain our fast, efficient and personal service, we need to develop systems to manage the increasing number of trips, guests and information. Our expert webmaster team have been developing a database and ‘online form’ for several years and we are delighted to announce that it has reached its final stages. The system is designed to be used by us to manage divers’ trips at destinations around Asia world. But, most-importantly, our guests are encouraged to sign-in and update and even upload information to ensure that their whole dive trip experience is smooth and hassle free from start to finish. Finally, the dive centres which we represent can log in to their own section of the database to view the necessary information for upcoming trips on their boats. This information is limited to pick up location, equipment & dietary needs, and divers’ certification & experience. Our scuba diver database for liveaboards & day trips has become the heart & soul of our whole operation. What is it? The database is different things to different people. To our guests, it’s a secure and easy-to-use online ‘form’ where diver details can be entered. These details include the hotel, flight or meeting point for the start of their trip, and their certification level & past diving experience. They can also enter dietary & equipment needs. To the dive centres, it’s the quickest and easiest way for them to see the necessary information for upcoming trips. 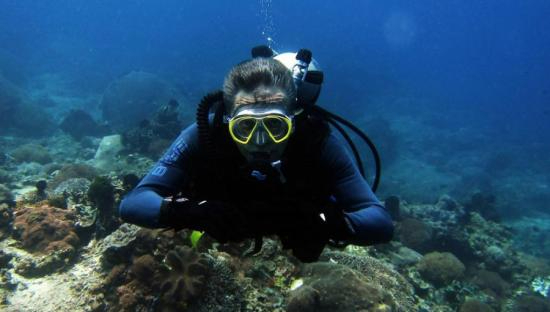 They can know where to collect guests and what to prepare for the trips, such as equipment, and diving groups. To us it’s a database where we can store, view and send out the above information to the relevant people. But what about the security of my personal details? This is the most-important factor of the system. For obvious reasons, data security is paramount for both our guests’ protection & privacy and for our own system information. Our expert team are actively monitoring all possibilities, they are very conscious of on-going hack threats and, as owners of the company, extremely incentivised to maintain 100% security. In addition, we have never and will never distribute anyone’s email address or personal contact information to 3rd parties. Like you, we hate Spam. Naturally, we need to give guest details to our dive centre partners, but this only happens after a booking has been confirmed. Also, only the minimum necessary information is given to only the dive centre for the trip you choose. Our dive centre partners are only able to view limited necessary information for upcoming trips, and as soon as a diver’s trip has finished, their information is no longer accessible to the dive centre. But our guests can login at any time. What is so special about the database form? The whole system was created specifically for scuba diving. It is a bespoke design that is unique and not in any way adapted from another system such as hotel bookings or other activities. Our departments work closely together to discuss and decide on which information is necessary for which trips, and does not have unnecessary or missing fields. For example, some of our dive centre partners require passport information, but others don’t. Only the divers whose details are required will be asked for them. Also, most of our guests have never been to the dive destination before and therefore they have limited or no knowledge about local geography. Our system shows each dive centre’s location in a Google map window, plus the location of the guest’s hotel. There is also opening hours, and more. Our guests can also upload their diver certification cards just in case they are unable or unwilling to bring them on vacation. After each trip, our guests are invited to write a review of their experience. This includes the option of uploading photographs as well. Nearly all of the reviews are positive, but constructive criticism of the ways our boats run is also always welcome. Other than diver details and transfer logistics, what other details are guests expected to enter? For all diving guests who book online in advance, the vital information is certification level, most-recent dive date, and total logged dives. Followed by where the team can pick up the divers immediately before the trip. The next most-important information required by most dive centres is the equipment needs of the guests. This is most-commonly calculated from their height, weight & shoe size. Even divers who have their own equipment and those who will visit the dive centre to fit equipment are encouraged to enter this information. Why? Because if there is a delay (such as a flight) or the diver’s own equipment malfunctions or goes missing on the way, the team can be prepared in advance. All of our diving trips include food. For day trips, this is always lunch and sometimes breakfast as well. For liveaboard trips, it’s several meals each day. Our guests include vegetarians, vegans, pescatarians, and those who are lactose and gluten intolerant. Entering this information will help us to help you enjoy your dive trip even more. Guests who have not yet booked their accommodation can actually book through the online form. Linked through Agoda, the best rate and convenience is guaranteed. Finally, all of our liveaboard guests receive a free gift, usually a t-shirt and often something else. They are able to view and select their chosen t-shirt size within the database as well as share on social media to get an extra gift. It’s all easy to navigate and understand. We are proud of our system database, and we are constantly trying to maintain and improve it. Like everything in business and technology, standing still results in being left behind. We have a team constantly working on the system to ensure that it remains bug free, is usable on all devices and browsers, and is 100% secure 24 hours per day. If you experience any difficulties entering or viewing the information, or if you have any suggestions for improvement, please let us know. Thank you for your time reading this far and for working with us. We wish you a wonderful scuba diving trip!